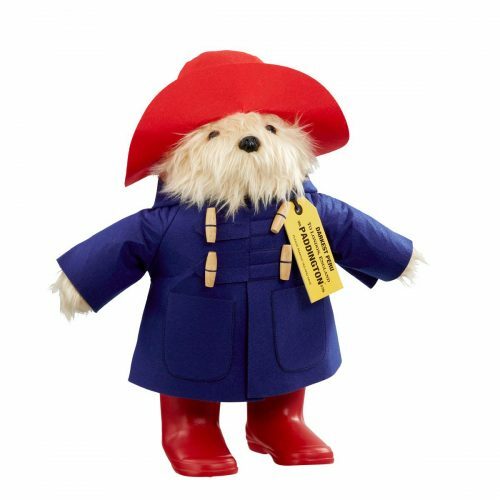 Traditional 46cm tall standing Paddington wearing red felt hat, blue felt dufflecoat with four traditional wooden toggle fastenings. 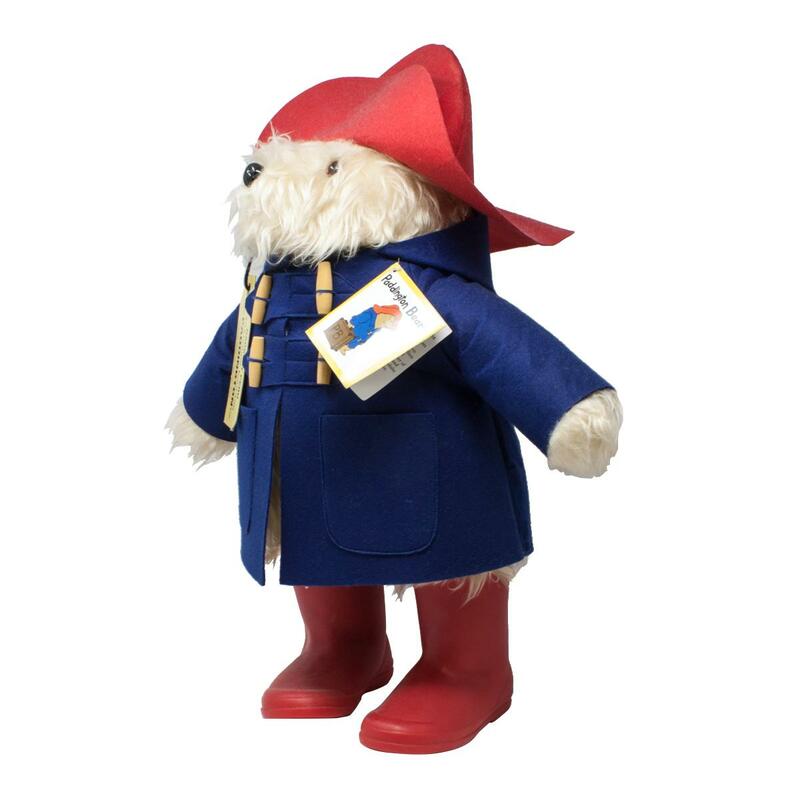 Paddington also wears a luggage tag with ‘Please look after this bear. THANK YOU’ wording, and shiny red Wellington boots. Suitable for all ages. Hand wash only. Made from synthetic fabrics and filled with polyfibre.